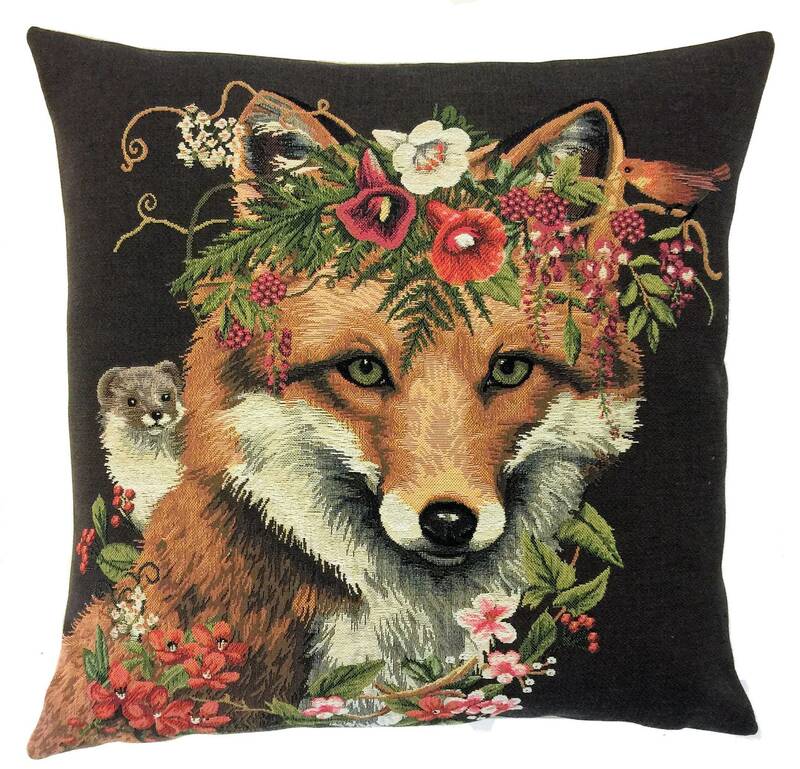 This beautiful tapestry pillow cover is one of a set of three cushions featuring forest animals with floral decor. It is woven on a jacquard loom in true traditional tapestry design – a craft that only a few master! The cushion cover is woven with 100% cotton thread and lined with a plain beige cotton backing. Size is 45x45 cm (18'x18'). We advise an insert of 50x50 cm (20'x20'), because we like our covers well filled. Insert not included. Closes with a zipper. Dry clean only. Handmade in Belgium. Wonderful quality, fast shipping time. Very pleased with this purchase. I loved these pillow covers so much, I couldn’t resist getting the second one. Everything about the work is wonderful. Excellent!